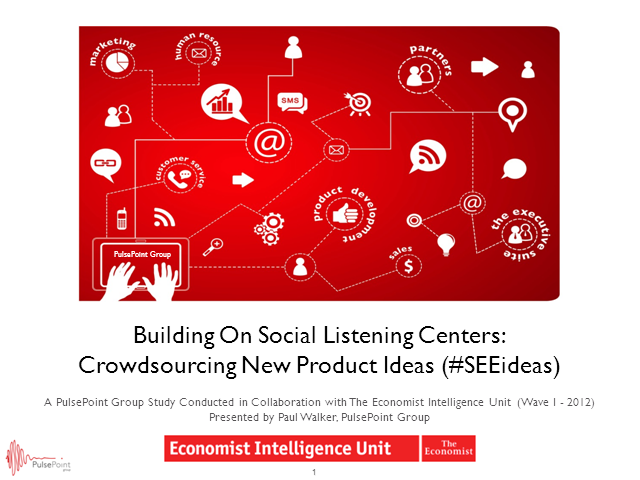 In a collaborative study with The Economist Intelligent Unit, “The Economics of the Socially Engaged Enterprise,” executives defined social engagement today as online listening, blogging, and building relationships with online influencers. But the top economic or business return performers have a different view – they will be more focused on ideas and action in the next two years. Big-return companies crowdsource new products (57%), or let customers participate in developing ideas. In fact, they are predicting a significant portion of new products will be derived from social engagement insights. This webinar from PulsePoint Group will explore best cases and practices.